Celebrate this Independence day with Adda52 Rummy and win fabulous prizes! After the successful Indian Rummy Challenge, 2018 in July, Adda52 Rummy is back with another amazing tournament for Rummy lovers. Adda52 Rummy is all set to commemorate this auspicious occasion with lots of fun and fervor. To honor the determination and passion of Indian players to take challenges, the website is going to host“Freedom Challenge” an exclusive online rummy tournament where participants can compete against each other to win their share from the whooping prize pool worth Rs. 10 Lac. 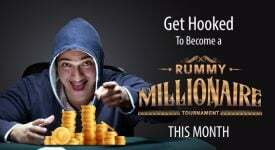 This mind-blowing rummy event will be held on 15th August at 12:00 PM on the website. Rummy enthusiasts from across the country can register to demonstrate their incredible rummy skills to earn the Champion title and the massive rewards. 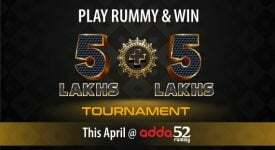 Adda52 Rummy players can register for the tournament with just 25 of their loyalty points. Visit the website to know more about Adda52 Rummy loyalty level program. New players or existing players without enough loyalty points can also participate in the Freedom Challenge Tournament. They can get a complimentary ticket to the tournament by making a purchase of Rs. 100 with the bonus code “HAPPYIDAY”. 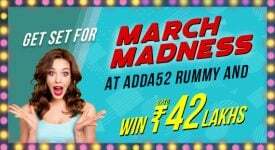 Adda52 rummy is famous for bringing always something “out-of-the-box” to satisfy the cravings for high-quality games and tournaments of Indian rummy fanatics. 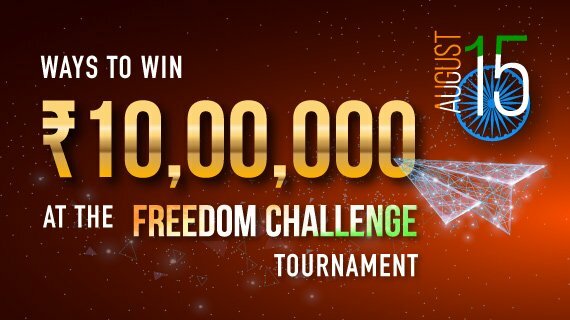 Freedom Challenge is a unique tournament where players can enjoy unlimited online rummy action without investing money from their pockets and make great profits. So get ready to celebrate this glorious occasion with us. If you want to experience the adrenaline rush of participating in a highly competitive online rummy tournament and take home huge guaranteed prizes this 15th August, Freedom Challenge is the best event for you. It is a great opportunity for amateur, recreational, or professionals player to unveil their exceptional playing skills on the tables and boost their bankroll by winning jaw-dropping prizes. Games are available 24×7 on the website. You can download Adda52 Rummy app from the website and install it on your smartphones, PC, and tablets to play your favorite game anytime and anywhere. Player must avoid unfair game play to qualify. Mobile verification is required to register for the tournament. For any queries, please contact at info@adda52rummy.com. Don’t miss this golden opportunity! 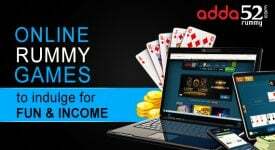 Log in to your Adda52 Rummy account and book your seat to play Freedom Challenge right now.